A super soft oversized mohair sweater, in a warm dark beige color. Knitted by Linda's mother on her porch in Sweden. 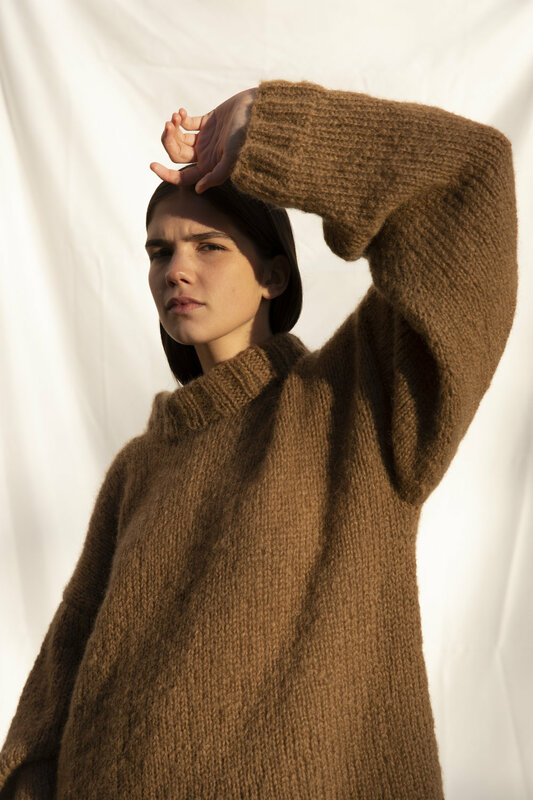 The sweater features long sleeves, a voluminous body, and a stand up rib collar.